Do you follow CandysDirt on Instagram? It’s another great way to get in touch with us, to see what we’re featuring on the site, and to show us what you’re up to — which is exactly what Kate Walters with Allie Beth Allman & Associates did last week when she pitched us this gorgeous Lakewood hip pocket. What’s a hip pocket listing? It’s a home that’s for sale, but isn’t listed in the MLS, nor will you find it online on the likes of Zillow, Redfin, etc. Sellers sometimes go this route to protect their privacy, or to test the waters of the market, or even just in the hopes of generating more interest in the home in a market that might be getting a bit saturated. But Walters is planning on someone falling in love with this home — so she’s even arranged for a champagne sip-and-see on Tuesday, Feb. 12, from 2 p.m. to 4 p.m. Many of you know I am obsessed with Hollywood Heights and the street that we live on. I love our neighbors, I love the trees, I love how our street is off the beaten path and many don’t know about it, and I love that it’s little and intimate. In fact, I have previously described it as a little slice of heaven. But with only 16 houses on it and a housing market that is on speed, the chance to live on our street doesn’t happen often. Until today. 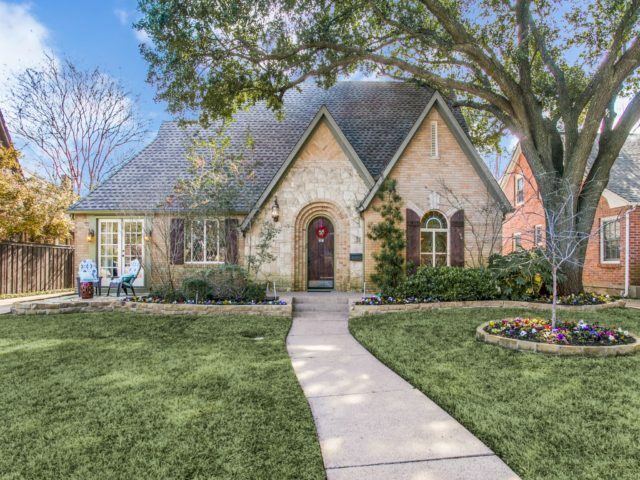 Kate Looney Walters with Allie Beth Allman has a LEASE listing for a charming tudor at 6926 Patricia Avenue in the middle of this great street.